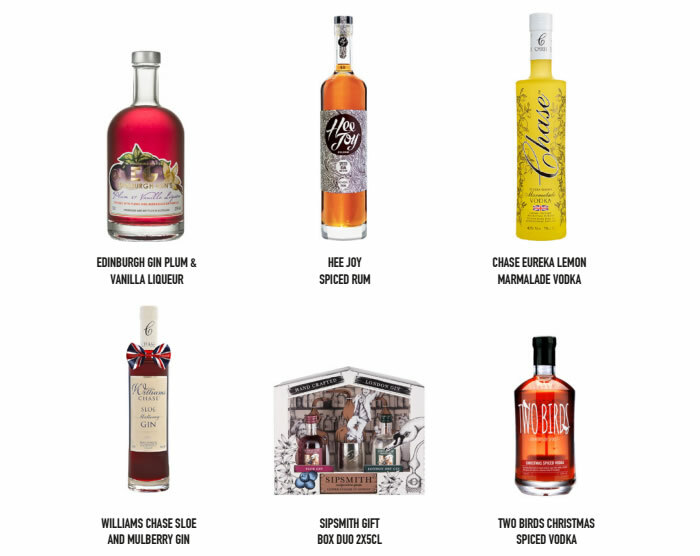 Whether you are hosting an intimate celebration or a festive drinks reception at your home this Christmas, 31Dover.com have you covered with their wide range of festive drinks. Be it a Prosecco, Cognac & Brandy, Tequila or Champagne that you are looking for, 31Dover have drinks to suit all tastes and every budget. Listed below are some really unique and festive products from 31Dover - these would make perfect gifts for this holiday season. We tried the Two Birds Christmas Spiced Vodka and it makes for the perfect festive drink. It is a smooth English Vodka that is infused with traditional Christmas flavours - think mixed spice, dried fruits, Cinnamon, Cloves and Nutmeg. Very festive and very delicious. While it is perfect for Christmas, the drink can enjoyed any time of the year. 50ml of Christmas Spiced Vodka, 30ml of fresh lemon juice, 10ml of white chocolate liqueur and 10ml of strawberry liqueur all shaken together and poured into a glass. Top with cream soda, and garnish with a chunk of mince pie and icing sugar. You can buy Two Birds Christmas Spiced Vodka from 31Dover.com for £32.95 (70cl). You can also check out all their other festive offerings on their website. Be sure to place your order by 22 December 2016, 1pm to ensure delivery in time for Xmas. Use the code DB31D to get 10% off your total order price (valid until 22/12/2016).